Most kids look forward to field trips as a change from the day-to-day class work that usually happens at school. 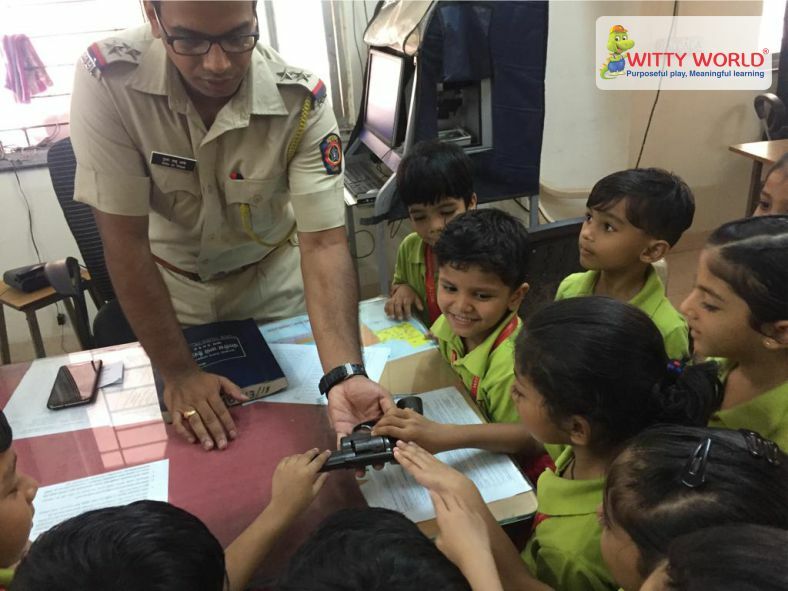 Visiting a Police Station can be an enriching experience for a child and reinforce the topics they have done at school. Senior KG students of Witty World were taken on a field trip to the MHB Police station on Friday, 5th October 2018. 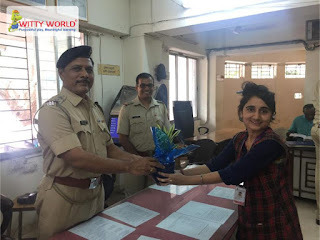 The purpose of the trip was to understand the physical structure of police station and nature of duties performed by police officers in a police station. The underlying motive of the visit was to build faith in the Police System of the state. 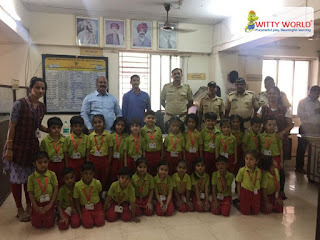 Students visited various department of police station such as wireless room, police lock- up, case diary record room to see the functioning of a police station. 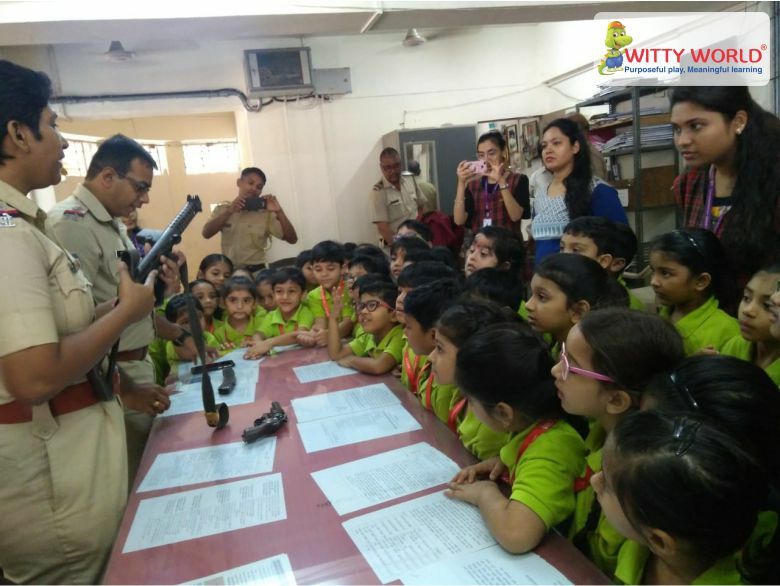 Children also got a hands on feel of the various weapons that an officer uses such as a pistol, a revolver, bullets along with a magazine and hand-cuffs. The police inspector also explained as to when and how they use these arms. Children were very happy and thanked the Police Inspector. Senior Inspector was felicitated with a potted plant at the end of the visit. 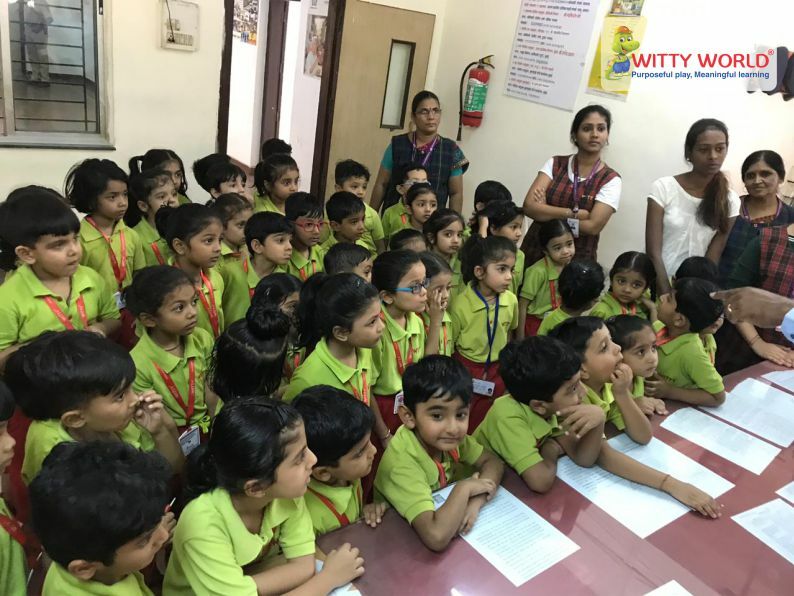 It was a day filled with enriched experiences, which the children cherished.